In recent years, sports and social media have become increasingly intertwined. But what would happen if teams and leagues went from outreach to full integration? The Basketball Tournament, which launched in 2014, seeks to explore how involved fans want to be in their teams and in choosing their entertainment, to see if players truly desire self-determination and agency, and to find out whether there is room on the USA’s sports calendar for an annual, high-stakes, fan-driven professional basketball tournament. The Basketball Tournament presents a blank canvas to players and fans. 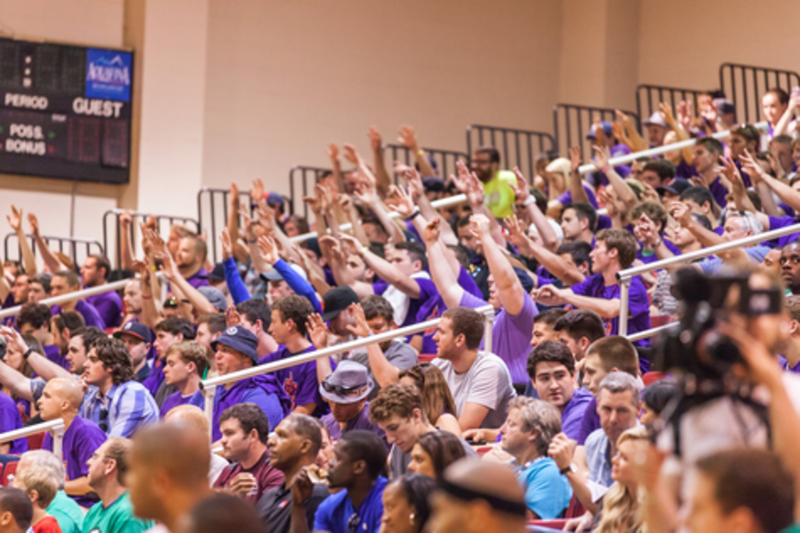 Teams are selected to compete based on how many fans they can accumulate on TheTournament.com. International pros, college alumni teams, and regular guys who just love to play use every form of communication imaginable to get fans, creating and forming professional teams in unique and personally significant ways, all to compete in a winner-take-all, single-elimination tournament for a massive sum of money. Dan is one of the founders of The Basketball Tournament and a graduate of Tulane Law School. A college baseball player at the University of Richmond, Dan has used a lifetime of sports fandom and friendship to work with TBT's Founder, Jonathan Mugar, to design, develop, and launch The Basketball Tournament. In addition to his involvement with TBT, Dan works as a federal prosecutor in New Orleans and serves as an adjunct professor at Tulane Law School. Luke Bonner played college basketball at UMass Amherst where he earned his Bachelor's in Business Management and his Master's in Sport Management. After college, he played professional basketball in Europe and in the NBA Developmental League. Luke is a founding member of the College Athletes Players Association, serving on the board of directors of the group whose goal, in Luke's words, "is to have a legitimate voice representing the players that are driving the industry." Along with his brother, Matt Bonner (San Antonio Spurs), Luke also founded the Rock On Foundation, a non-profit that serves to increase community artistic and athletic opportunities. Additionally, Luke competed in TBT's inaugural edition for Big Apple Basketball, chronicling his experience to great acclaim in Mashable. Luke currently works in marketing at GYK Antler in Concord, NH.